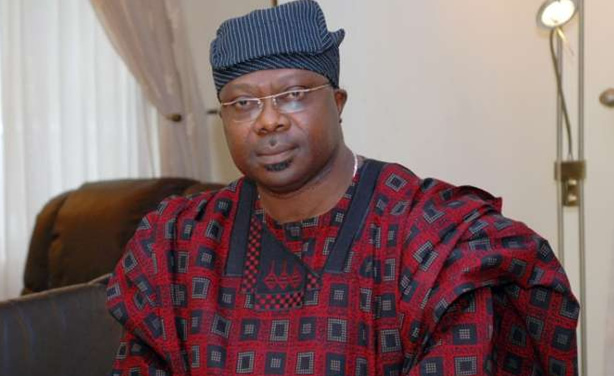 The candidate of the Social Democratic Party in the Osun State governorship election, Senator Iyiola Omisore, has okayed the plans by the Independent National Electoral Commission to stop voters from taking their phones and cameras inside the polling booths. Omisore, who noted that preventing cameras inside the cubicles would assist in curbing vote-buying and selling, spoke in Osogbo on Thursday at the mega rally ahead of the September 22 governorship poll in the state. Omisore, who was deputy governor during the tenure of Chief Bisi Akande, also warned the INEC against yielding to the alleged pressure from the ruling All Progressives Congress to rig the election. The SDP governorship candidate also warned the INEC against the alleged plan to use the members of the Osun Youth Empowerment Scheme as the ad hoc workers for the election, saying the people of the state had been instructed to demand the identity cards of INEC ad hoc staff. He said the APC had allegedly connived with some officials of the INEC to use OYESS cadets as ad hoc staff in order to use them to rig in favour of the APC candidate. He, however, said the people of the state would resist any attempt to rig the election, saying the people were determined to protect their votes and to ensure that their votes counted. He said, “I am not in the PDP because some are saying that I am in the PDP, it is a deceit. I am in the SDP and we are going to win this election. We will not allow anybody to steal our votes this time. “They are planning to use OYESS cadets as polling officers and that is why I am asking you all to demand the identity cards of INEC ad hoc staff on the election day. They should be members of the National Youth Service Corps or students and not OYESS cadets. Omisore said he held a meeting with the workers in the state and they told him that the wage bill for the entire workforce was N1.9bn. He claimed that the administration of Governor Rauf Aregbesola, which could not pay full salaries for 34 months, spent N5bn on posters and billboards to campaign for the governorship candidate of the APC, Alhaji Gboyega Oyetola. The SDP candidate promised the people of the state that he would stop their suffering and ensure that the roads in the state were okay and also put drugs in the public hospitals and reposition education. Omisore predicted that the September 22 governorship poll in the state would mark the end of the APC rule in Osun State while urging the people to troop out to vote massively for the SDP.